Hanoi (VNS/VNA) - The Ministry of Industry and Trade (MoIT) has reported some positive signs in the handling of 12 major State-owned projects that have long reported losses, as some have managed to resume operations after suspensions or even record profits. The information was released at a working session chaired by Deputy Prime Minister Vuong Dinh Hue with representatives of the ministry and the projects’ investors in Hanoi on March 27. A report from the ministry showed that two of the projects managed to recover and report profits in 2018: DAP 1 Hai Phong fertiliser plant (195.5 billion VND or 8.4 million USD) and Vietnam– China Steel Plant (469 billion VND). Four other projects have gradually managed to stabilise production and reduce losses. In the first two months of the year, Ha Bac fertiliser plant reduced its losses by 30.6 billion VND compared with the same period last year. DAP 2 Lao Cai fertiliser plant reduced losses by 10.1 billion VND and Ninh Binh fertiliser plant by 44.5 billion VND. 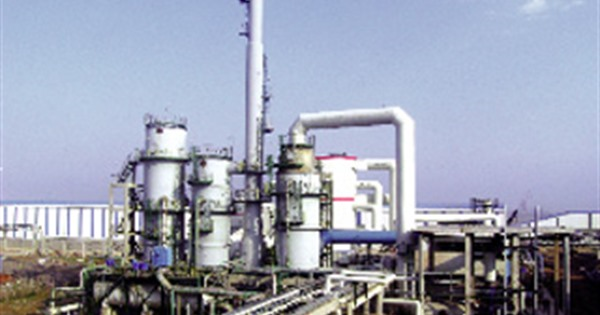 Two projects resumed operations including Dinh Vu polyester fiber factory (PVTex) and Quang Ngai ethanol plant. Binh Phuoc ethanol plant also resolved issues and appears to be ready to restart commercial operations. Nguyen Phu Cuong, Chairman of the Vietnam National Chemical Group (Vinachem), proposed removing DAP 1 Hai Phong eertiliser plant from the list of loss-making projects as has posted three years of stable operations and met the MoIT’s criteria. Deputy PM Hue agreed with the Vinachem’s proposal and asked MoIT to cooperate with the firm to remove the plant from the list. This could help the project better mobilise capital. Nguyen Dinh Phuc, General Director of the Vietnam– China Steel Plant, said the project has not completed tax and fee duties and is continuing to face difficulties in the first months of the year. Nevertheless, he expects the plant to be removed from the list soon. The Vietnam Oil and Gas Group (PetroVietnam) was reported to have completely resolved legal disputes with contractors at PVTex, creating favourable conditions to restructure PVTex. Le Manh Hung, PetroVietnam’s deputy general director, said PVTex has operated its 10 fibre production lines stably, bringing in profits to offset production costs. It has worked with banks to arrange capital to restart the rest of the plant this year. However, resolving legal disputes with EPC contractors has not been easy for the remaining projects, especially Ninh Binh fertiliser plant and Thai Nguyen Iron and Steel plant. Phuc said the Vietnam– China Steel plant was unable to negotiate with its contractor and was awaiting instruction from the Ministry of Justice to resolve the issue. Deputy Minister of Justice Phan Chi Hieu said the company had to clarify issues with the contractor to ensure benefits for the project. Deputy PM Hue said it was necessary to resolve the difficulties before divesting State capital from the projects.